Investigators want to know if any jackpot recipients here are tied to a convicted cheater and gaming official who visited Maine in 2014. The names of Mainers who won cash prizes in the Hot Lotto game between 2010 and 2014 have been forwarded to Iowa officials investigating a burgeoning jackpot fixing case that may have affected winnings in at least five states. Officials with the Maine State Lottery said Hot Lotto winners and prize amounts were shared with the Iowa Department of Criminal Investigations. To date, investigators have not discovered any link between Maine Hot Lotto winners and Eddie Tipton, a former security official for the Multi-State Lottery Association, of which Maine is a member. The cooperation by Maine officials comes as authorities in other states are looking into whether their lotteries were compromised by an elaborate scheme that threatens to harm consumer confidence in a major source of states’ revenues. Tipton was convicted in July of fraud for an elaborate scheme in which he installed self-deleting software that rigged the selection of winning numbers in games that use random number generators. Tipton, whom Maine lottery officials confirmed had visited the state for a week in 2014 to inspect a new gaming system, was sentenced to 10 years in prison in September. The Maine visit and key testimony from a Maine State Lottery official helped secure Tipton’s conviction on two fraud charges. 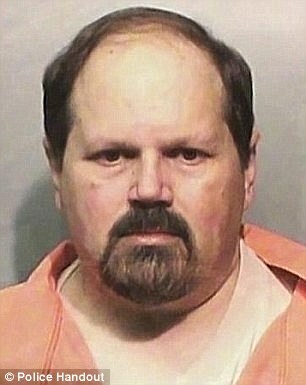 Michael Boardman, marketing manager for the Maine State Lottery, told a jury that he recognized Tipton’s voice and mannerisms from a surveillance video in which the former security official purchased the winning ticket worth $14.3 million at a Des Moines convenience store in 2010. Tipton, whose position at the Multi-State Lottery Association barred him from playing the lottery, wore a hoodie in the video. 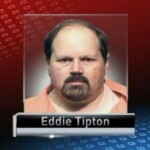 Prosecutors alleged that Tipton tried to claim the prize just before the expiration deadline in December 2011. He did so through a New York attorney who claimed to represent a trust incorporated in Belize. Tipton’s case is still an open investigation, according to officials with the Iowa Department of Justice. 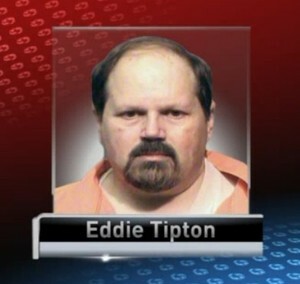 On Monday, investigators announced that two prizes in Kansas worth $44,000 were connected to Tipton or his associates. The Kansas announcement reinforces the suspicions of Thomas H. Miller, the former Iowa deputy attorney general who oversaw the investigation for more than two years. Miller told The Associated Press that “it would be pretty naive” to believe Tipton only tampered with four jackpots. “If you find one cockroach, you have to assume there are 100 more you haven’t found,” he said. Iowa officials have asked Maine and other states to assist in a probe that has expanded to games operated by the Multi-State Lottery Association. David Heidrich, a spokesman for the Department of Administrative and Financial Services, the umbrella agency for the Maine State Lottery, said lottery officials have done “an extensive internal review of draw game winners for the Hot Lotto game” to determine whether Tipton or his associates collected winnings from Hot Lotto tickets purchased here. In addition, Heidrich said Maine lottery officials have provided the names of people who won Hot Lotto prizes of more than $1,000 between 2010 and 2014 to the Iowa investigators. Geoff Greenwood, a spokesman for the Iowa Attorney General’s Office, said he couldn’t comment on whether investigators there had discovered any link between Maine prize winners and Tipton because of the ongoing investigation. “To date, there is no winner information that connects Mr. Tipton to Maine prizes won,” Heidrich said. The numbers of Hot Lotto tickets sold and game winners in Maine were not immediately available.